Antiques at The Gardens is an antique show and lecture series benefiting the Birmingham Botanical Gardens. Proceeds from Antiques at The Gardens support educational programs at Birmingham Botanical Gardens. Since 2006, the event has raised more than $4.6 million for The Gardens. 9 a.m. –Shop the Show with Meg Braff. $30. Price includes show admission. 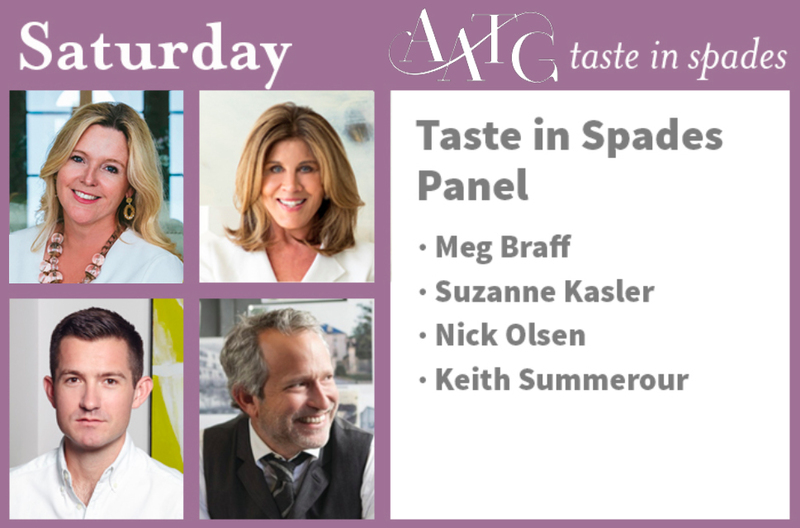 11 a.m. – Taste in Spades panel featuring Meg Braff, Suzanne Kasler, Nick Olsen and Keith Summerour. Moderated by Richard Keith Langham. $40. Price includes lunch and show admission. The panel discussion will be followed by a book signing of The Decorated Home.